In Maldives the islands are remotely located from one another. This makes a good transport link vital in between islands. As the sea separates the islands, it is not practical to have land transport systems between islands. There are few islands those are big enough or linked via bridges. For these islands a land transport service may be viable. Sea transport service is in demand in almost every atoll. At present there are hardly any regular transport links to remote atolls and islands. 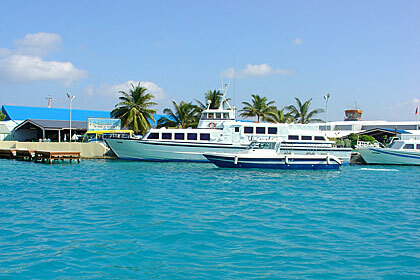 The existing regular ferry services are provided between Male’ and close by islands. However, the frequency of these services is not very impressive. Frequent ferry services are only provided between airport and capital Male’. Long distance inter atoll regular transportation is an area where investors can explore the business potential. More information on regulations and statistics can be obtained from Ministry of Transport and Civil Aviation.